How do I join as a member of Melbourne Racing Club? You are not required to have a proposer when joining the Club. This part of the application process is designed to reward current MRC members who refer family and friends to the Club. Referring members receive 5000 points ($50 credit) for introducing a new full MRC member, 2500 points ($25 credit) for a full Mornington Member and 2500 points ($25 credit) for a full Racing and Events Member. You are able to make payment through VISA, Mastercard or AMEX. Alternatively, you can pay via Direct Debit in 7 monthly instalments. Click here for more information. How long does it take to receive my membership pack? Once processed, your membership package is mailed within 7-10 business days. If you decide to join the Club in close proximity to a race-day, temporary ticketing can be arranged by calling 1300 GO RACE (467 223). All new members are required to pay a higher membership fee in their first year of Membership. Once you have joined the Club, a lower renewal fee will be applicable each season. I have lost my membership card, how can I arrange for a replacement? Simply call 1300 GO RACE (467 223) and the Membership department can arrange for a new Memberships card to be posted to you. Please note, a $20.00 card replacement fee may be applicable depending on the circumstances. The previous membership card will then be cancelled so it cannot be used by another person. 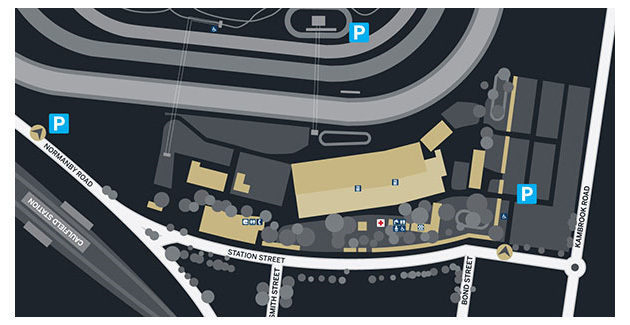 Alternatively, visit the Race Day Office opposite the Members’ turnstiles at Caulfield. Am I able to bring a friend to the races under my membership? Yes, there are a number of different ways you can access guest passes, some of which are provided with your membership and others which can be purchased. Please first login and check your membership benefits before purchasing guest ticketing. There are six annual Clip Clop Club family days across all three courses each season. Each family day features a designated Clip Clop Club zone with free family entertainment. Not a member? Join as a Racing and Events Member today for just $180 and get instant access to all Young Member events. What Reciprocal Rights do I get? The Melbourne Racing Club is proud to offer its loyal members reciprocal rights at a wide range of local and national racecourses. Go to our Reciprocal Rights page for the full list of Reciprocal rights we offer. What dress code is applicable when in the members reserve areas? In line with the standards at the Melbourne Racing Club, a dress code policy is enforced whilst in the members reserve areas at all three racecourses. For more details on the dress code policies, please go to the Dress Codes page.